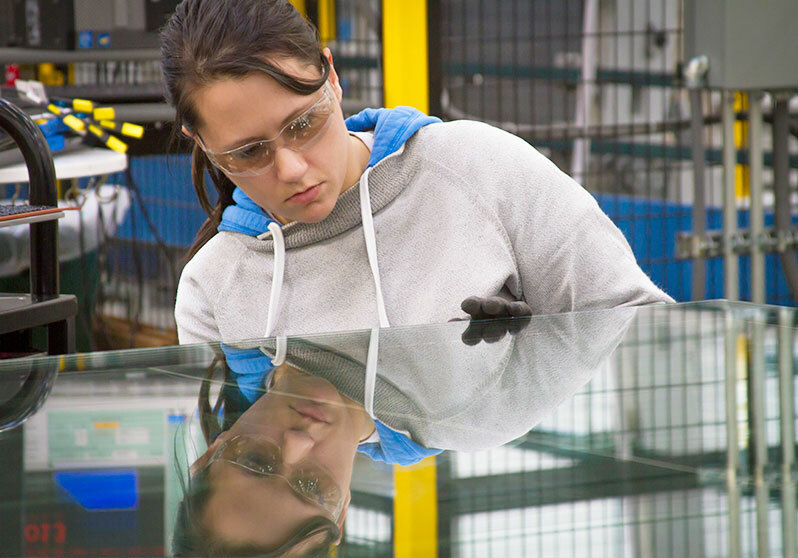 With over 500 patents and manufactured in the world’s most advanced electrochromic plant, SageGlass makes one product: the world’s most intelligent, reliable electrochromic glass that is as dynamic as the people it benefits. Our company started in 1989 in Valley Cottage, N.Y., with a singular and ambitious mission: to completely reinvent what glass means for buildings. We soon became the first to develop electrochromic technology and spent the years that followed innovating and building upon our revolutionary product. In 2010, we announced our triple-pane glazing product, the world’s most energy-efficient window glass, and this led us to an important partnership. 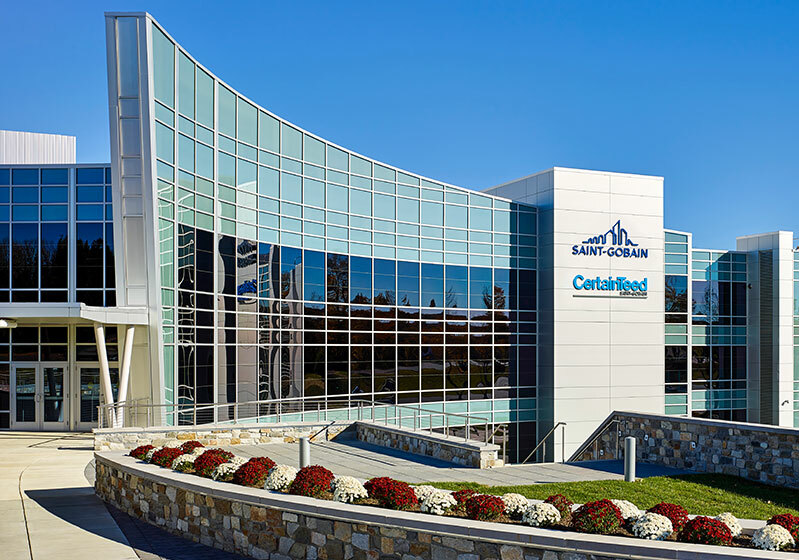 Saint-Gobain, the Paris-based world leader in building materials for 350 years, invested $80 million in our company. By 2012 Saint-Gobain had acquired 100% of SageGlass, making it a wholly owned subsidiary and a key part of its innovation strategy. Today, we’re proud to own and operate the largest and most advanced electrochromic glass plant on the globe. Since the first construction project using SageGlass, we have installed electrochromic glass in hundreds of projects and iconic buildings worldwide. Every day, our perseverance pays off in small ways that give the world more beautiful, energy-efficient, occupant-centric buildings. We invite you to become part of our story. We are a company of ideas that are nurtured by a commitment to research and development. The achievements of our founder inspire us to reach for the next great solution. With an ever growing list of green certified installations, SageGlass is committed to the mission of providing a dynamic system which helps to create more comfortable interior spaces to benefit everyone in the built environment. Is there a warranty on SageGlass products? We warranty the SageGlass IGU for up to 10 years depending on the building application; the electronics, electrochromic functionality and coatings carry a five-year warranty. For full details on our product warranties, email or call our Architecture Solutions group. Read more about our Limited Warranty. Is SageGlass better suited to some types of buildings? SageGlass has been incorporated into a wide variety of commercial buildings and is a good fit for any project where controlling the sun is a challenge. Some of the leading types of projects where SageGlass has been used include commercial offices, schools and universities, healthcare facilities, cultural institutions, government facilities and skylights in a wide variety of buildings. Is SageGlass available in more than one color? Yes – SageGlass is available in a variety of colors to complement your design or building. Please contact a SageGlass representative to discuss the best fit for your project. Learn more about the design possibilities of SageGlass. We use a vacuum deposition process called “sputtering” to coat conventional float glass with layers of metal oxides. This is the same process used to make low-e and double low-e glass. The coated SageGlass pane is then paired with one or two more pieces of glass (clear, tinted or laminated) and one or two spacers to make a double-pane or triple-pane insulating glass unit (IGU). 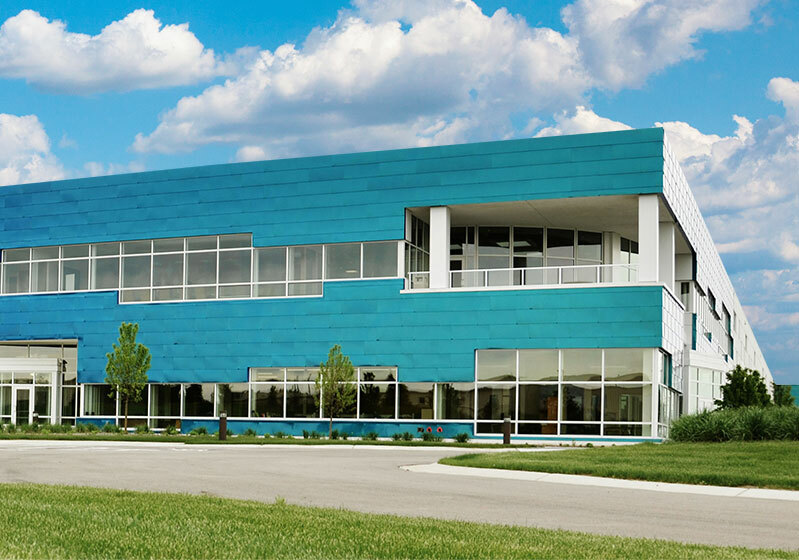 Our state-of-the-art manufacturing facility is located in Faribault, Minnesota. Tours are available for prospective customers. How fast does the tint level change? An average-sized pane of SageGlass transitions across 90% of its dynamic range (from clear to tinted or from tinted to clear) in 7-12 minutes. The switching speed depends on a number of factors, including the ambient temperature and glass size: The warmer it is outside, the faster the glass transitions. Larger panes take longer than smaller panes to fully transition. Also, keep in mind that in day-to-day use the glass often changes in smaller increments (e.g., from one intermediate state to the next lighter or darker state) rather than from fully clear to fully tinted, so the transition takes less time. The SageGlass team is a group of thinkers, designers and innovators out to change the way people think about glass. We foster an all-inclusive, collaborative, and dynamic environment that inspires creative team members who are driven by purposeful work. Visit our GlassDoor page for testimonials, SAGETALKS, Case Studies, and SAGEADVICE. The SageGlass team is a group of thinkers, designers and innovators out to change the way people think about glass. Get to know our team below. Dr. Pender has more than 16 years’ experience in the manufacturing industry. He is responsible for all operational aspects of SageGlass, including production, quality, logistics and site maintenance. SageGlass is truly the world leader in electrochromic glass, and we've got the recognition to prove it.